Wow! 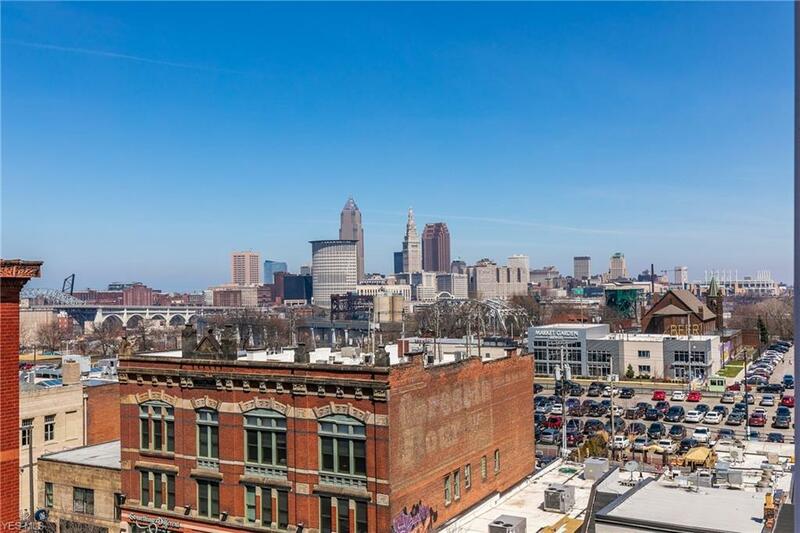 Impeccable crown jewel, 2-story penthouse with exterior 360 views: Downtown Cleveland, Lake Erie, West Side Market, and the Gold Coast. Designed by an award-winning Cleveland architect. The most desirable location in Cleveland! Enter a welcoming foyer with two large double closets, huge walk-in pantry, modern open floor plan with nearly 10 ceilings, and gas fireplace. 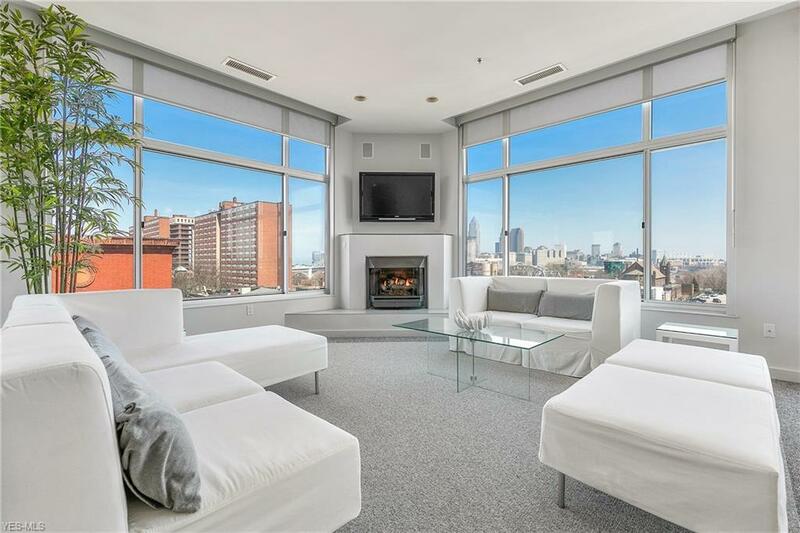 Enormous windows provide an abundance of natural light. Large, fully-equipped kitchen, under-cabinet lighting & a spacious 4 person breakfast bar. Large windows with low sills maximize panoramic views. Bedroom two features a double-door closet. Outdoor terrace can be accessed via the second bedroom & dining room. A full bath with floor-to-ceiling porcelain tile completes the main floor. Master suite offers a gas fireplace, built-in beauty table, low-maintenance composite rooftop deck, walk-in closet, luxury bath with porcelain ceramic tile walls, recessed cabinets, double sinks, jetted soaking tub, separate shower & flat screen TV. Built-in surround-sound speakers & high-end low-profile custom window treatments throughout. In-suite laundry. Two large parking spaces in attached, secure heated parking garage. 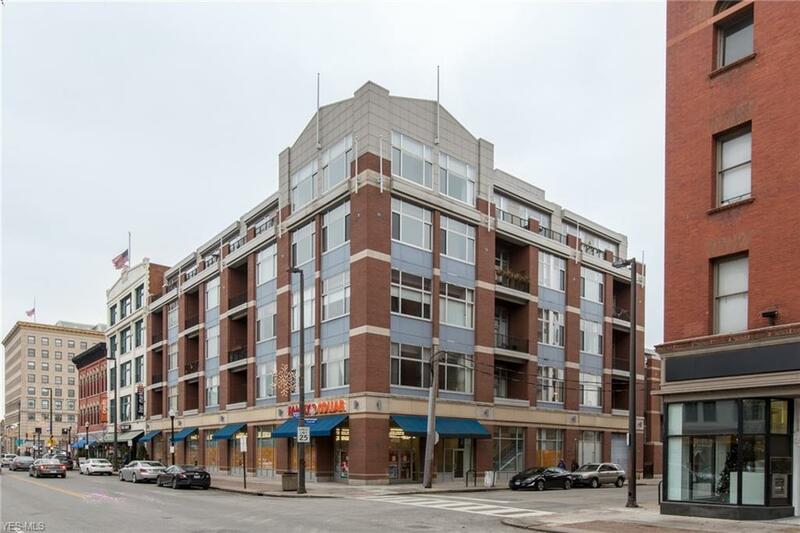 Building amenities include secure entry, 24 hr. fitness room & a storage locker. Prized Ohio City location! Just over the bridge to Progressive Field & the Q. 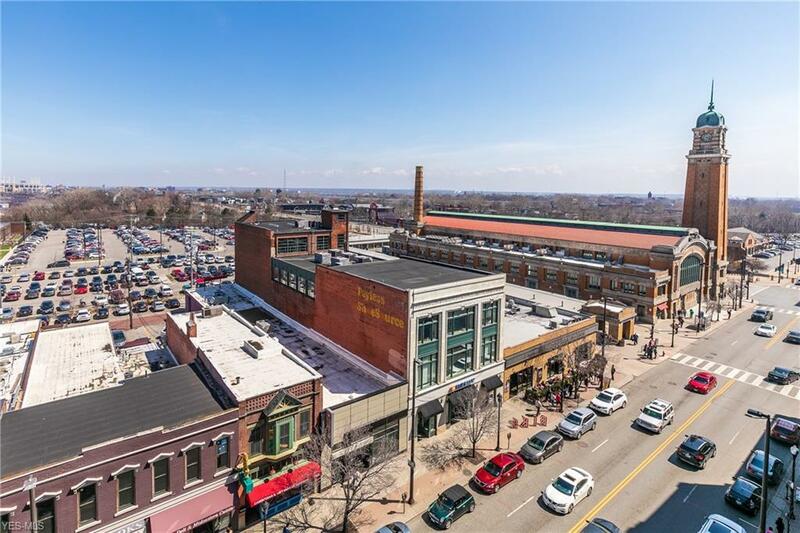 Across the street to the West Side Market, seconds away to coffee shops, restaurants & breweries. A once-in-a-lifetime opportunity & great value!